Join us for a special night to honor local businesses. Spend some time on the range with Brad Barnes, our PGA professional. Both events start are FREE and start at 6 pm and will run until approximately 8 pm. Events include food, which will be served prior to 6 pm. To participate, call the golf shop at 706.236.5046 or register below! Must be an active employee of local business within city limits of Rome, GA. 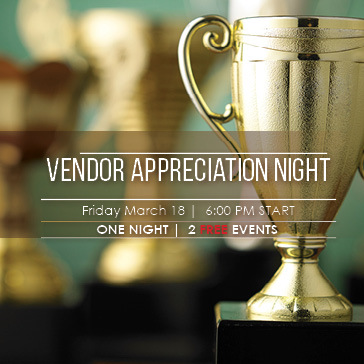 Thank you for registering for our Vendor Appreciation Night.